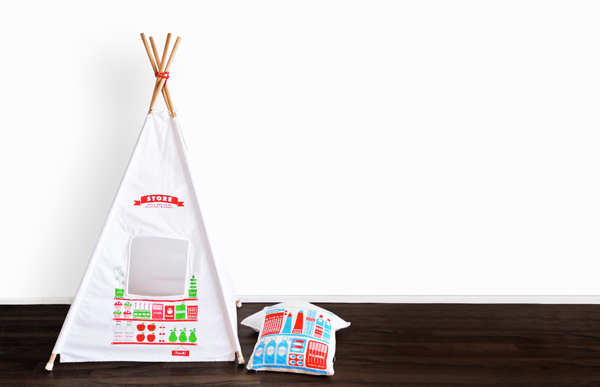 Kids will play up a storm indoors this winter with this teepee from Supertrooper Studio. The MiniTipi Play Tent from Scandinavian inspired Supertrooper Studio is perfect for igniting imaginative play with small children. Made from white pure cotton fabric, this teepee has two solid sides, a store front print window side, and of course – the door side! With close to a square metre of play area inside, the MiniTipi Play Tent really is the perfect space for hanging out. Erecting the MiniTipi Play Tent is no drama – four hardwood dowels simply slip through fabric sleeves and are held in place at the top with a bright red polyester rope. Easy peasy. 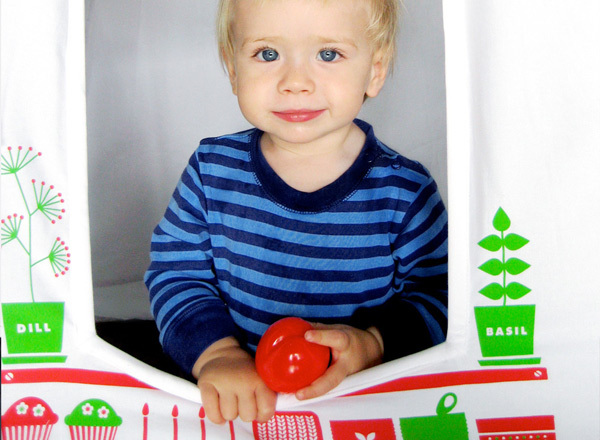 The MiniTipi Play Tent costs $149 from Supertrooper Studio, with free post within Australia.